Residents at Y Gorlan in Rhyl enjoyed getting together for some outdoor crafts and fun at a recent Family Day, making new friends and practicing their creative talents. Clwyd Alyn Housing Association have funded two new picnic tables in the communal garden area helping residents get together while also providing a safe place for children to play. 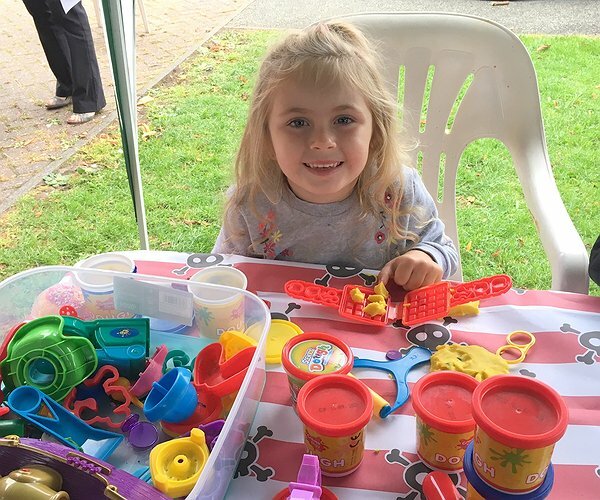 “It was the perfect setting for our Family Day, where resdients helped plant out the raised bed area and some of the children enjoyed a crafts session with pebble-painting, model making and biscuit decorating. “We’d like to thank everyone who made the event suc a success, especially the Y Gorlan families, Yvonne Cole, our Housing Officer, and Julie Evans, Community Development Assistant,” said Luise Blackwell, Community Development Officer for Clwyd Alyn housing Associaion who manage the homes. "Planting fun at centre for homeless families"